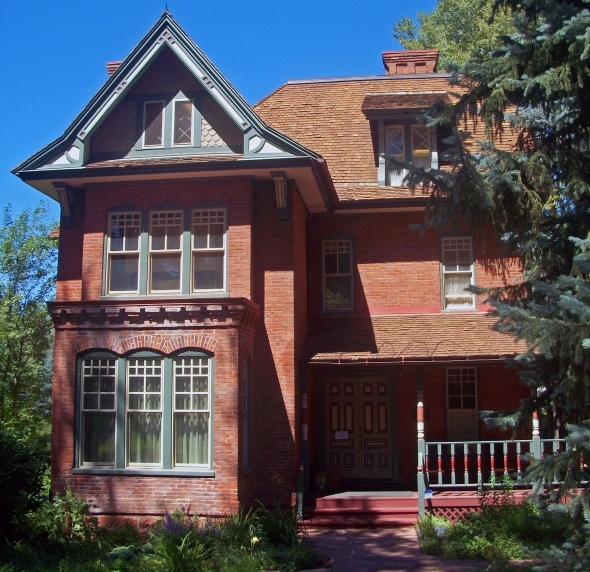 The Wheeler-Stallard Museum is run by the Aspen Historical Society in the former home of Jerome B. Wheeler, one of Aspen’s most influential early residents. The ground floor of the brick, three-story home has been refurbished to reflect how it was in the early 1890s, and a second-floor gallery shows Aspen-related exhibits. Wheeler, who made his fortune from the Macy’s department store in New York City and became a major investor in Aspen’s silver mines, built the Queen Anne-style home on an entire block in west Aspen in 1888. He never lived there because his wife, Harriet Macy Valentine Wheeler, refused to leave their mansion in Manitou Springs. Wheeler spent nearly $1 million apiece on the Jerome Hotel and Wheeler Opera House, two of Aspen’s signature buildings from its days as a silver boomtown. Edgar and Mary Ella Stallard moved into the house in 1905 when it stood empty and abandoned after the silver crash of 1893 had decimated the Aspen economy and Wheeler’s fortune. Edgar Stallard was an Aspen real estate agent who had taken the job of manager of the Wheeler Opera House in 1904. The Stallards bought the home in 1917 from a rancher who had claimed it for back taxes, and Mary Ella Stallard lived there until the early 1940s. It was acquired in 1945 by the Chicago industrialist Walter Paepcke, who formed the Aspen Skiing Co. and created the Aspen Music Festival. The historical society acquired the property in 1969.